Miss Thailand Aoom Phingchamrat was named the winner of the Best National Costume Show 2017. Durian is the king of fruit which is very famous all over the world and indicates the prosperity of seedling in eastern Thailand. 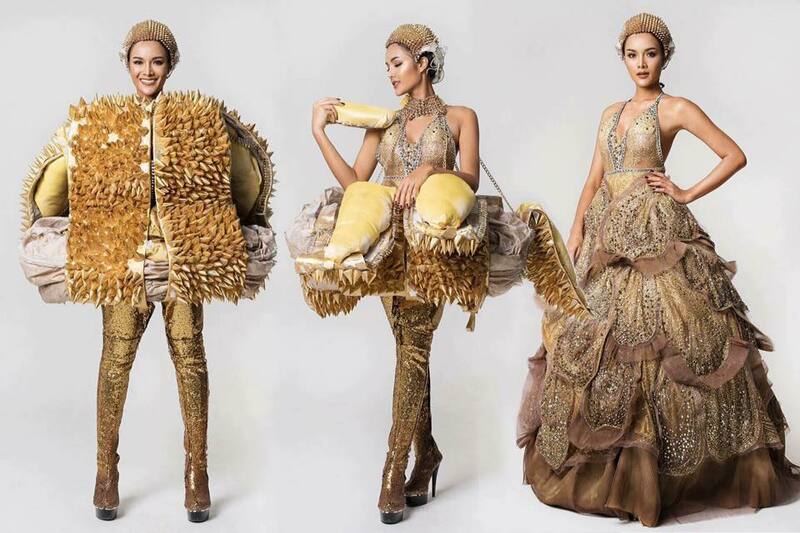 This national costume is very modern presenting a durian in every dimension including its sharp external thorns along with the aromatic and sweet durian pulp inside and sprinkled over with dazzling gold yellow durian flowers. This is such a new dimension of creating a Thai national costume.